While holidaying in New Zealand, most tourists prefer staying at Picton. In addition to being a picturesque seaside town, Picton is also the gateway to forest, island and marine attractions of the Marlborough Sounds. The visitors also love to spend time at the local restaurants, cafes and galleries to experience the Kiwi lifestyle. At the same time, they also have option to make the trip more exciting by fishing, cruising, sea kayaking and dolphin watching. The pleasant weather and picturesque landscape of Picton also encourage many visitors to plan road trips. They simply hire a comfortable campervan, and explore the popular tourist destinations at their own pace and convenience. However, the tourists often find it a daunting challenge to hire the right campervan without paying any additional or hidden cost. If you are planning to hire a comfortable campervan without spending a lot of money, it is important to choose the most reliable campervan hire Picton option. Nowadays, most campervan hire companies in Picton allow visitors to choose and book the campervan online. You can visit the website of the campervan hire company to compare different vehicles according to your holiday plan. It is always important to choose a comfortable, clean and well designed camper to make your road trip more enjoyable. However, you also need to concentrate on the facilities provided by the company and charges to save money. 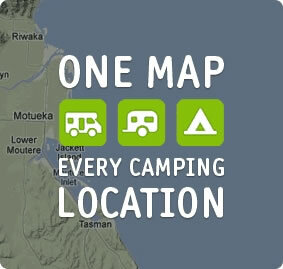 Many tourists prefer hiring campervans from Camperco, a South Island based campervan hire company. The company has built a reputation by providing clean, comfortable and well designed campervans to the visitors. Also, it allows customers to choose from campervans of different models and sizes. Camperco also provides free insurance, unlimited miles, 24hr roadside assistance, and local airport/ferry transfers. The tourists have further option to choose pick up and drop off locations according to their own convenience. The cost of hiring the campervan is further reduced due to no hidden or additional cost.